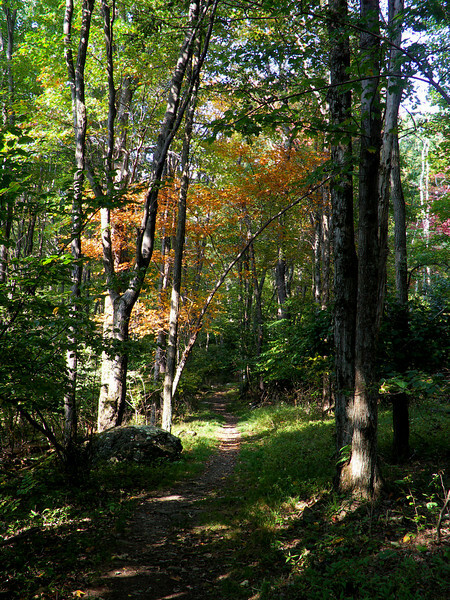 Many of these photos were taken along the Appalachian Trail in Shenandoah National Park and points further south through the Blue Ridge. Other places may have snow capped peaks or deep, dark chasms or amazing desert scenes or other spectacular scenery, but my heart seems to always lie here, not far from where I grew up in Northern Virginia. I think these gentle, ancient mountains are high on my list of most beautiful places I've seen. These photos are taken with older digital cameras and for that reason I have limited the print size to 8x10 on Smugmug. Please contact me if you would like a larger size print from this gallery. Also if you like these photos you may also enjoy the Great Smokies gallery, which features the southern part of the Blue Ridge, in the extreme south of Virginia, and North Carolina and Tennessee. Those photos are higher resolution and can be printed at the larger sizes.